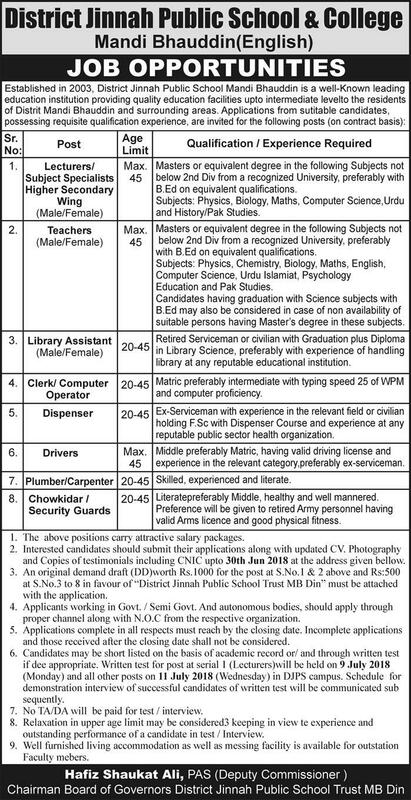 District Jinnah Public School & College Mandi Bahauddin, Pakistan seeks services for Male / Female Lecturers / Subject Specialists for High Secondary Wing , Teachers, Clerks / Computer Operators, Dispensers, Drivers, Plumbers and Chawkidars. Sir, I am expert of computer operator. But My experience two year.